Announced just prior to E3 2017, Far Cry 5 is the latest instalment in Ubisoft’s long-running open-world shooter franchise. Set in Montana, USA, you’re charged with taking down a doomsday cult called Eden’s Gate. It’s not exactly the most exotic of locales. Past entries like Far Cry 4 took us to Nepal, and Far Cry Primal threw up a rather impressive rendition of the Stone Age. Far Cry 2 had you braving malaria and arms dealers in war-torn Africa. It made us wonder if Ubisoft was phoning it in with Far Cry 5. At IGX 2017, Gadgets 360 put the game to the test and the results were humbling. Here’s why. The first thing we noticed that despite the pedestrian setting, the game world was replete with a lot happening all around. 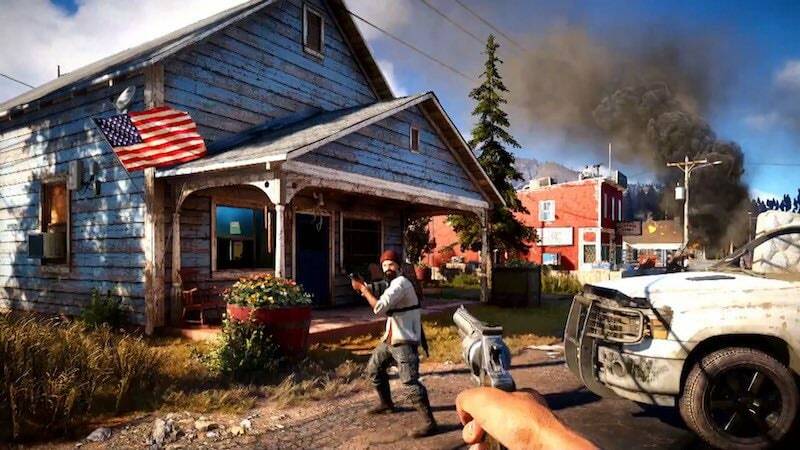 Granted it might feel familiar with cars, trucks, houses, and offices peppering the decidedly urban landscape, but with crazed cultists holding civilians ransom, roadblocks manned by soldiers, and wildlife galore, Montana felt rather busy, more than any other Far Cry game in recent memory. It was this sense of busyness that gelled well with gameplay. The demo tasked us with liberating an area from enemy control, and we did so by sabotaging passing trucks with explosives and detonating them at will. Doing so allowed us to clear out swathes of enemies before ziplining into the fray and cleaning up the meagre resistance that followed. 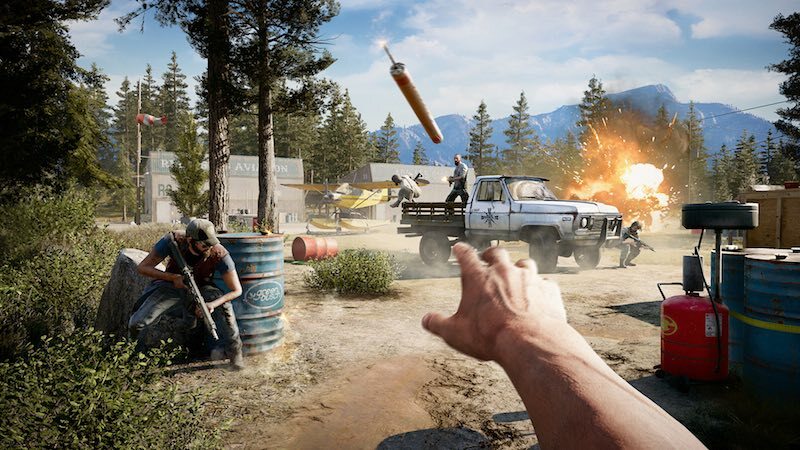 Although guns in Far Cry 5 felt a bit wonky compared to past entries, it was still enjoyable with each shotgun blast and machine gun round giving a surprising amount of feedback and recoil. Compounded with the ability to have household appliances like heaters burst into flames when shot at, it made combat a lot more interesting as we found ourselves luring opponents indoors before setting them on fire. And for those of you who prefer going through missions quietly, stealth is still a valid option, complete with a seemingly infinite number of pebbles to distract the enemy as you proceed to dismantle them up close and personal. Regardless of how you choose to play, you can recruit and make use of resistance members to aid your cause and assist you in battle, even reviving you if you’ve been gunned down. Given how Far Cry 5 appears to take pleasure in putting you up against hordes of enemies, it’s a nice addition that evens the odds. This aside, there are the usual set of open-world tropes we’ve seen in past Ubisoft games this generation. You’ll be able to hunt down VIP targets, interact with wildlife such as bears, and use every element of the environment, from creating forest fires to barreling a jeep into an encampment to complete your objective. For most Far Cry veterans this sounds like more of the same. How Far Cry 5 alleviates this is in its interpretation of Montana. It’s a visually arresting world — from fields of grass swaying in the wind to neon lit signs for shady dive bars- and there’s a sense of immersion that makes you want to explore what it has to offer. In our 30 minutes with the game we liberated a small town, freed an outpost from cultists, swam in a lake (while stealthily cutting down foes in our way), and even visited an air strip complete with a plane. The sheer amount of variety crammed in ensured that this is far from a barren open-world, and does enough to keep things fresh. This aside, the frame rate wasn’t exactly stable on the debug PS4 Pro console we were playing it on. We were told that this build of the game that debuted at E3 2017, which would explain the lack of optimisation. Hopefully the final release should be smooth, particularly with Sony marketing Far Cry 5 as a showcase title for the PS4 Pro. But are slick visuals and a busier world enough? We’re hoping the story — which has been solid in past games – delivers. Pretty environments and wanton carnage are nice but its setting is ripe for a narrative that we hope Ubisoft capitalises on. Our time with Far Cry 5 made us optimistic for what to expect when the game hits on February 27 next year. It’s shaping up to be a bustling, competent shooter that should have something for enthusiasts and newbies alike.